Mold damage Connecticut company, 24/7, certified, same day service! Who doesn’t love a good yarn; especially one with a creepy twist or something with such a bizarre angle that reading it may cause one to question the very meaning of life. Urban myths are excellent examples of odd-ball stories that also reflect the local history and culture of an area, and the state of Connecticut is brimmed to the top with some of the strangest tales you could ever hear around a campfire. Some people believe that urban myths exist for a reason; that somewhere deep within their folds there is some truth to them. We will let you decide for yourself. One of the more popular urban legends is the Downs Road story out of Hamden in which people have reported to have seen apparitions of children and other ghosts floating down the country road, while others report that “Melon Heads” ran up to them and clawed their cars. When someone claims they saw a ghost, most people aren’t terribly shocked and they either dismiss the claim or they believe it and carry on with their day. But when someone claims that a Melon Head scratched at their Honda’s paintjob, 9 out of 10 times the person will get a funny look and perhaps be taken to a psych ward for a free evaluation. But there could be a practical explanation. Can Mold make you Hallucinate? Certain types of mold can make you hallucinate. In fact some historians argue that mold exposure may have caused people in Salem to hallucinate thus creating the famous witch scare. Could the people who saw these Melon Heads have a mold problem at home that caused hallucinations in situations where a local pit bull attacked their car and was confused to be a mythical Melon Head? After all, their heads are rather melon-shaped, and they are known for being aggressive. Or did the homeowner leave melon out on the table while away on vacation and the juices dripped into the cracks of his hardwood and caused a mold problem that gave a tip of its hat to this strange myth via extreme hallucinations? 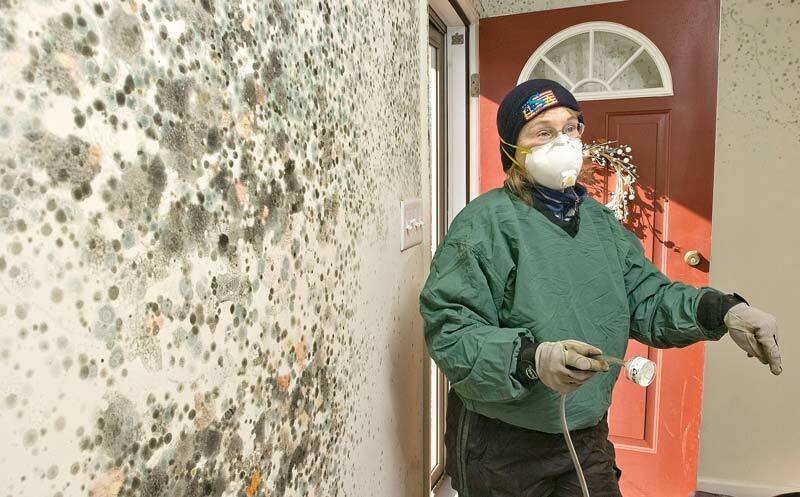 Mold is very dangerous and if you see black spots on your walls, and your rooms are damp with moisture in the air, you will need immediate mold removal services performed by a certified company. Mold may not cause you to think Melon Heads are scratching up your car, but you could develop asthma, respiratory problems, or lung disease. In some cases deaths have been catalogued due to prolonged mold exposure. Mold forms when outdoor spores enter a home and breed in areas rich in moisture. This is why calling a water damage restoration company is so important in the event you experience any indoor flooding or a pipe burst. Mold grows on organic and semi-organic materials. In other words your hardwoods, carpets, drywall, cement basement, fabrics and furniture are all susceptible. Don’t be a melon head; if you see any dark spots in between your tiles or around a dripping faucet with a musty odor present in the room, call a mold removal company immediately. And in the meantime, if you ever visit Downs Road, try capturing one of those Melon Heads and use your pocket knife to cut out a slice to enjoy with some crackers and brie.